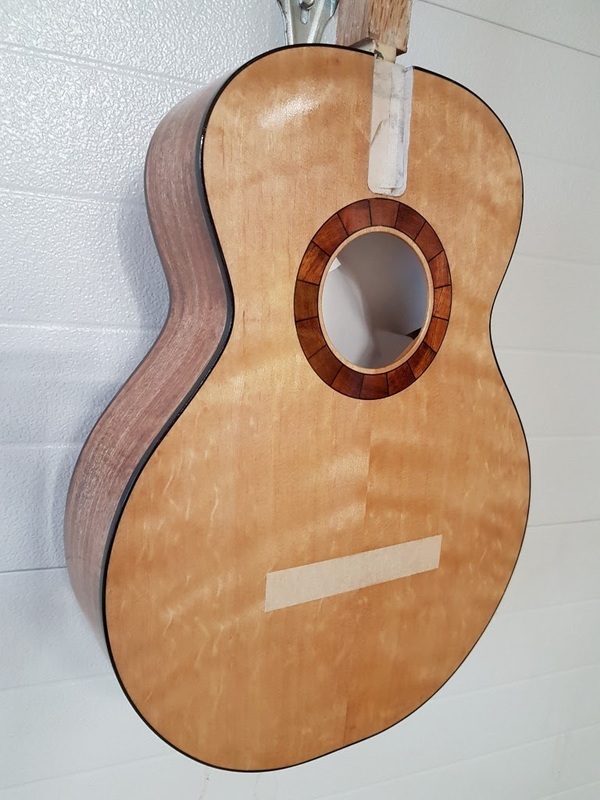 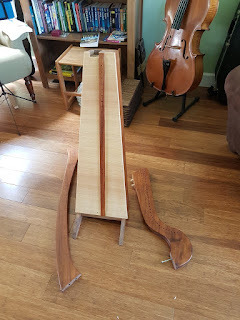 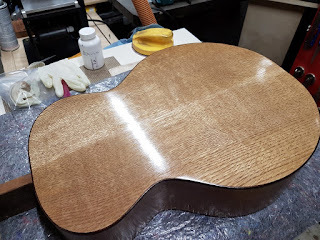 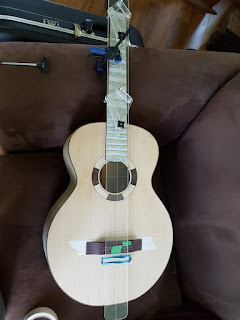 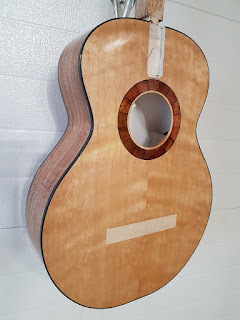 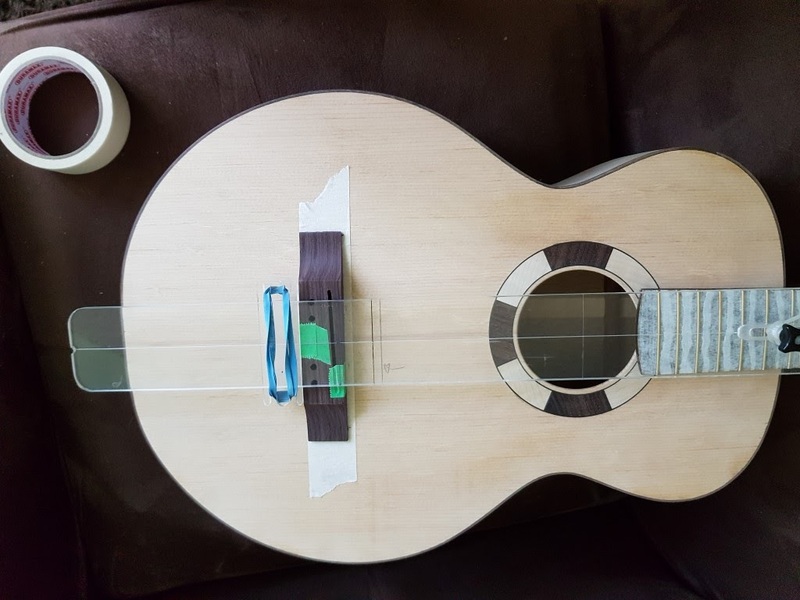 One guitar body is out for a UV Cured Poly finish one is getting a Tru-Oil finish and one a French Polish with Royal Lac Shellac and all 3 necks are getting a Tru-Oil Finish as well as the Celtic Harp getting a Shellac finish (not french Polish).. Whew.. 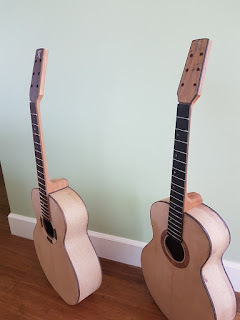 So all 3 L-0 guitars are in the finishing process. 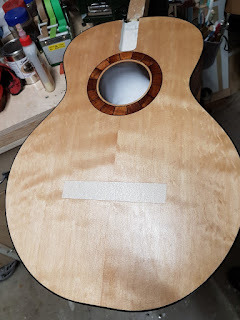 Not the fastest thing to do either many coats of the chosen hand applied finish applied over days and day then left to cure for weeks or off to the finishing service which takes 4-5 weeks.. Thing are however getting close to done on these three..
One will have a UV cured polyester finish, one hand applied Tru-Oil and one French polish with Royal-Lac hardened shellac, all will have Tru-Oil necks as they seem nice and fast to me. 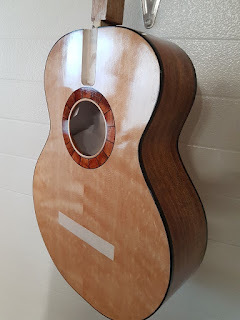 Hopefully all done in the mid June time frame.. 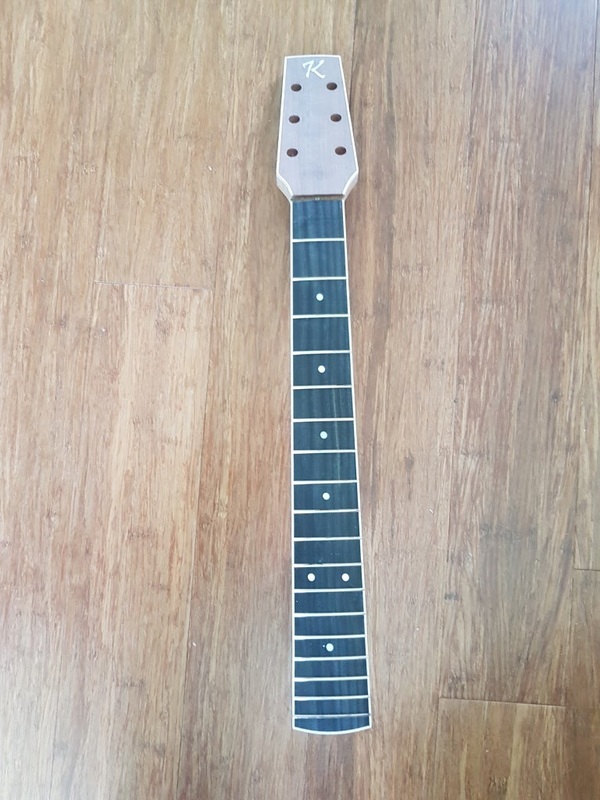 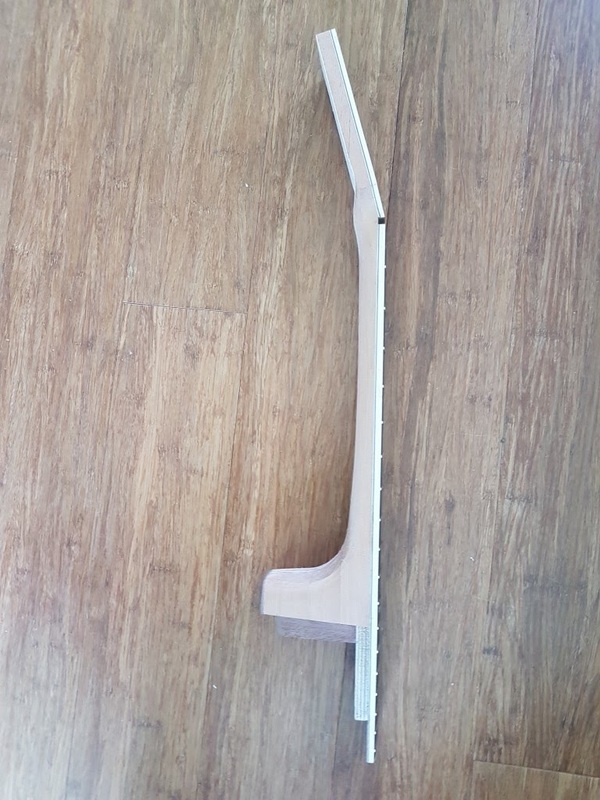 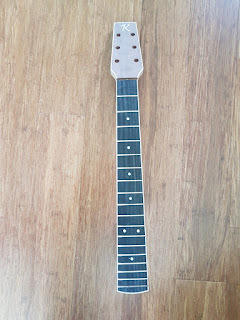 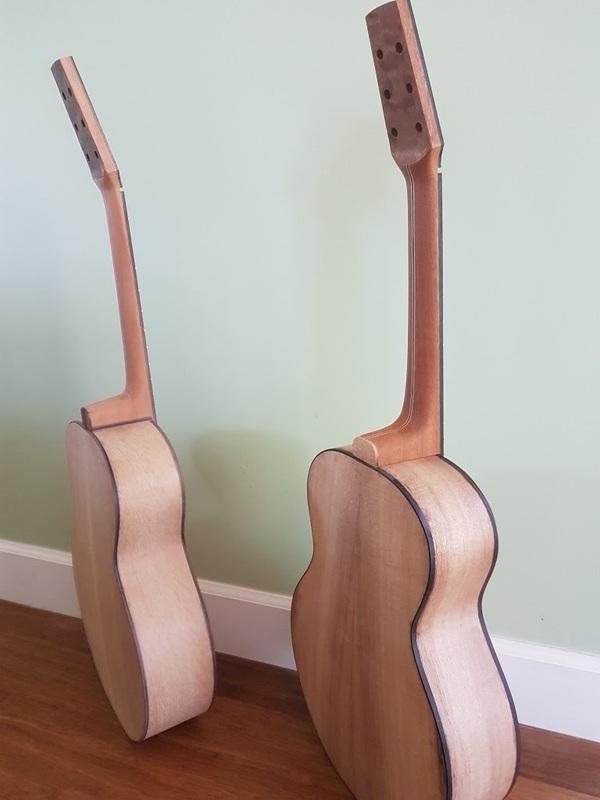 I spent the last day or two carving the necks for the 3 L-0 style guitars, all came out pretty good, still need final sanding but I can get started on finishing next week. 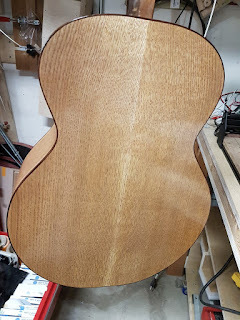 Always fun carving necks one of the more enjoyable parts of building a guitar. 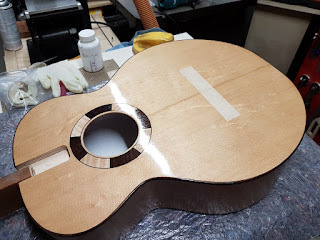 Off to the La Conner Guitar festival this weekend.